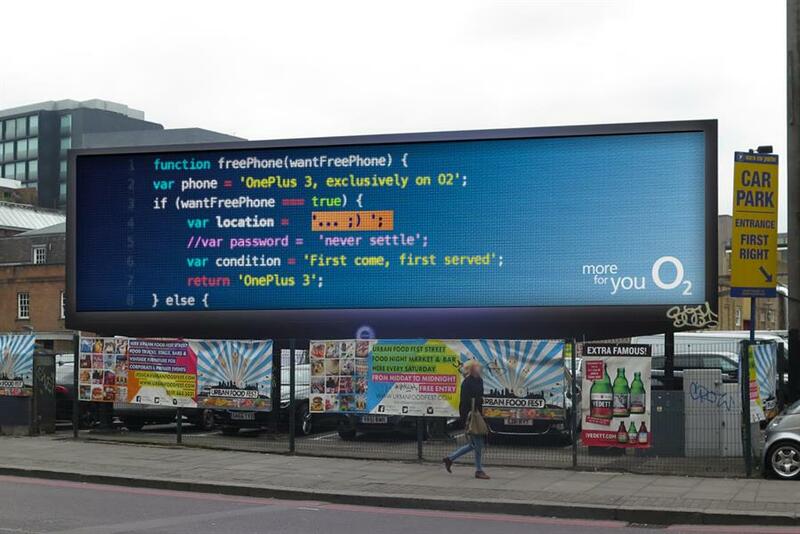 O2 is hiding coded messages in a billboard on Shoreditch High Street, London. A new code will be hidden every day, which will lead sleuths to a secret location in the area. The first person to crack it every day will be rewarded with a OnePlus 3 phone. The campaign is being supported across social and phones can also be won online. Last year, O2's agency, VCCP, created a rousing animated ad to celebrate the brand's sponsorship of the Rugby World Cup.